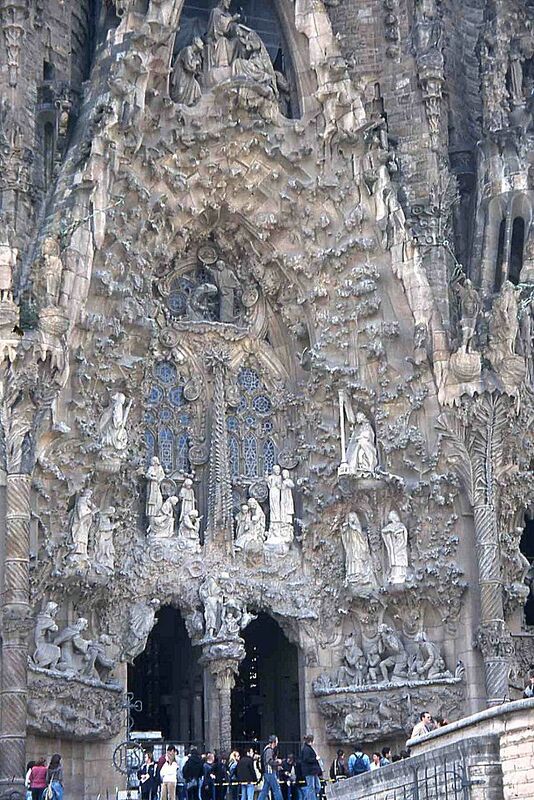 Spain 2004: Sagrada Familia i Barcelona. Some details from that famous church designed by the architect Gaudi. They have continued building this church for more than 100 years, but it's still far from finished. I have been to Spain four times. All in all I have stayed there for about one month.